The When Are You Reading? Challenge is hosted by Sam at Taking on a World of Words and involves reading a book predominantly set in each of the twelve time periods. You can see how I got on with the 2018 challenge here. You can find my provisional list for the 2019 challenge below which I will be updating with links to my reviews as I read the books. At the moment, clicking on the title will take you to the book’s entry on Goodreads. I’ve deliberately chosen books that have been in my TBR pile for way too long. Yes, you’re right. In making my selections, I’m aiming to kill two birds with one stone. Reducing my TBR pile is one of my reading goals for 2019. If you love historical fiction but often find yourself sticking to one or two favourite time periods, or if you’re keen to read more historical fiction in 2019, why not join in? Posted in Reading ChallengesTagged books, historical fiction, Reading Challenges, When Are You Reading? How awesome that you have a plan! Good luck executing it. Happy reading! This sounds fascinating. 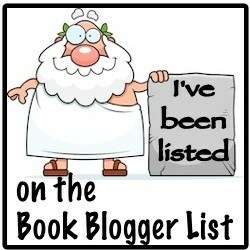 I love historical fiction so I’ll enjoy checking out your reviews. Have fun reading! I loved Munich and hope you do too.